Drywall damage is relatively common. It can be accidental, such as a doorknob bashing a wall, or purposeful, such as a fist bashing a wall. Fortunately, it is easy to repair with minimal equipment and without a whole lot of sweat, no matter the cause. 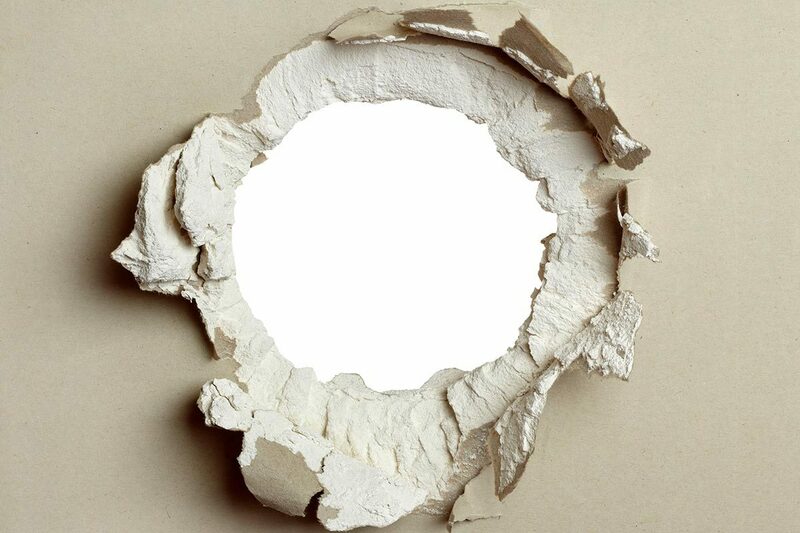 Below are five easy steps to repair and conceal a small to medium hole (12 inches/30 centimeters or smaller) in your drywall all by yourself. Ready-made drywall patches are available at all hardware and home improvement stores. 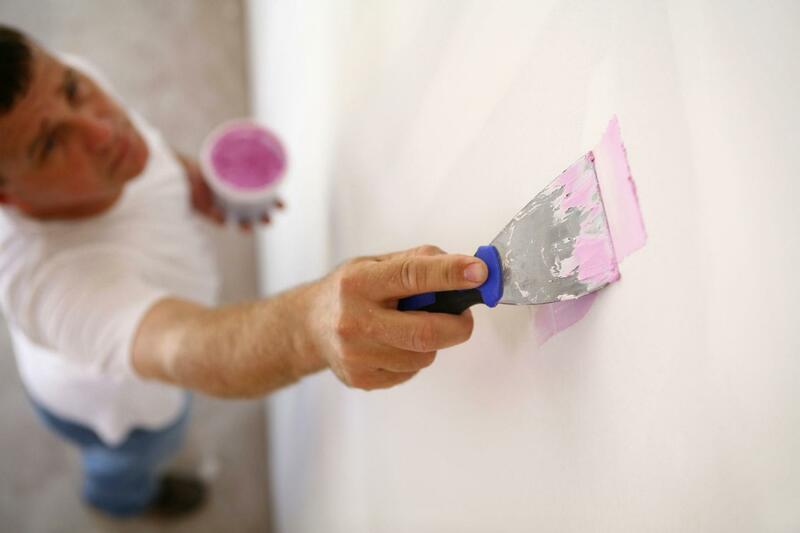 Though you can repair drywall with an actual scrap of drywall, most people will be better off shelling out a couple of bucks for a patch. These metal-backed patches use a peel-and-stick method for increased ease of use and durability. Size the patch against the hole. Cut and shape the patch so it is big enough to cover the entire hole. Leave about an inch on each side so that the patch will adhere firmly to the wall. The next step involves prepping the hole for the patch. Use a utility knife to trim away any flaps of drywall that are hanging from the hole. Clean the drywall surrounding the hole with warm soapy water. Make sure not to use too much water, as you don’t want the drywall to get too wet. Let the drywall completely dry before moving onto the next step. 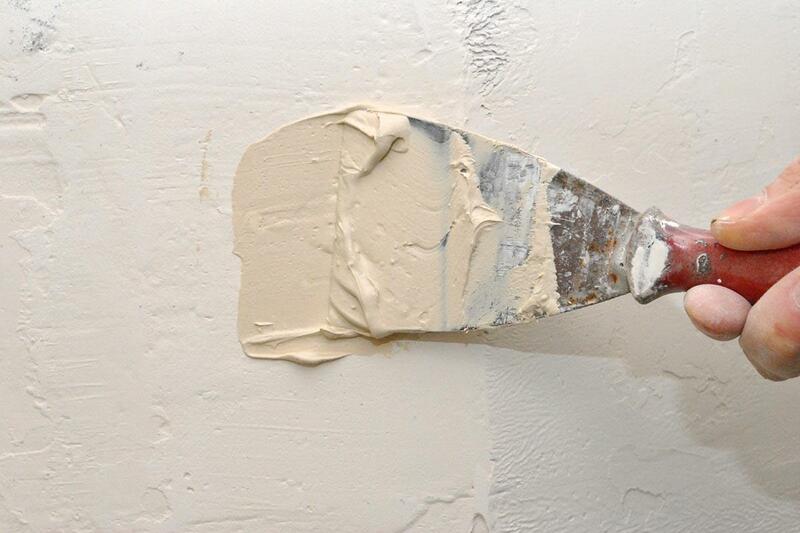 Peel the backing off of your ready-made drywall patch and place the patch over the hole. Make sure that all of the edges of the patch are firmly touching the drywall around the hole. Press the edges of the patch down against the drywall, using your fingers to press out any air bubbles from the edges. Use a taping knife to spread a thin layer of joint compound over the patch. Make sure to also cover the area where the patch meets the wall. Work from the center of the patch outwards to avoid any potential wrinkling. Wait for one day until the joint compound is dry. Apply another layer with the taping knife. Smooth this layer at least six inches past the edges of the patch you used. After this layer dries, some people like to use a fine silicon-carbide sandpaper to softly sand the joint compound to remove extra bumps. If you do this, make sure to wipe the sanding dust away. At this point, the drywall is fixed and the wall is ready to paint! 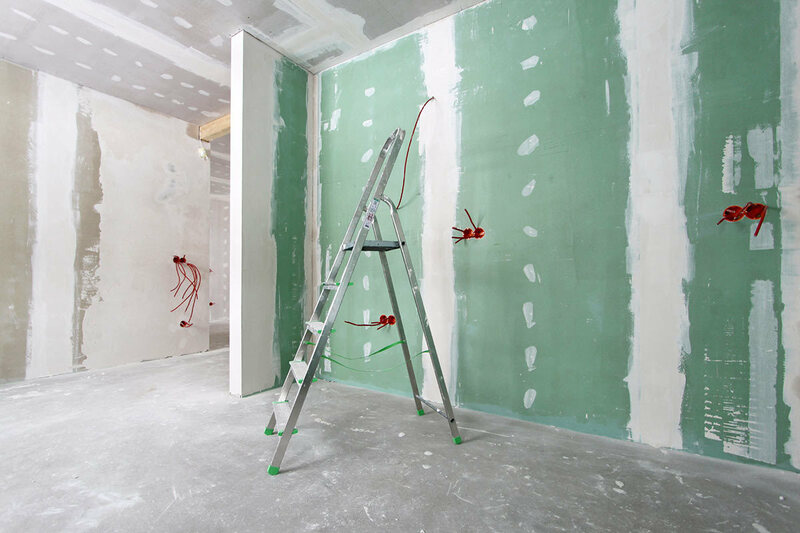 Repairing and concealing a drywall hole really isn’t that difficult at all. By following the tips above, you will have the damage repaired in no time at all without spending a bunch of money! Be sure to note, however, that the five easy steps above only apply to relatively small holes. Larger drywall holes will require a slightly different technique or possibly the help of a trained professional (for the really big ones! ).